Texas family law issues can be confusing and complex, especially when you’re under an emotional strain. 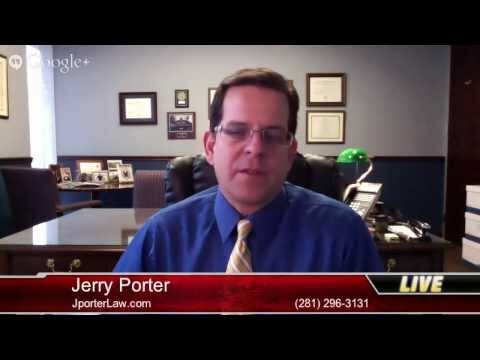 The Law Office of Jerry Porter helps relieve your anxiety by providing compassionate, loyal and strategic legal services to address your urgent concerns. Navigating the legal process can be very difficult — that’s why it’s crucial that you find a family law attorney with whom you feel comfortable and who inspires your confidence. I am an experienced and committed divorce lawyer who provides the type of personalized, honest representation you need. Divorce — If you’ve made the decision to dissolve your marriage, I provide sound advice and strong courtroom representation aimed at resolving all of your ancillary issues. Legal separation — If you are undecided about permanently dissolving your marriage, or have a religious objection to divorce, you can still protect your rights with a legal separation agreement. Children’s issues — Child custody, visitation and child support are often emotionally charged issues that require knowledge and experience to resolve with as little upset to your children as possible. Alimony — The court has great discretion over whether spousal support is appropriate and how much to allow. I make every effort to negotiate a fair outcome or convince the court to rule favorably. Property division — Another highly contentious issue is the “just and right division” of your property. The court considers many factors, but has discretion in allocating assets. I work to negotiate appropriate property agreements to take the decision out of the court’s hands, but when agreement is not possible, I provide the determined representation you need for a positive result. Domestic violence — Allegations of domestic violence can have a tremendous impact on divorce proceedings, especially child custody and visitation. I advocate for victims and the accused, helping my clients obtain an appropriate remedy. Alternative dispute resolution — Not every divorce or every issue needs to be contested in open court. I employ alternative methods, such as collaborative family law and mediation, to reach settlement agreements. As a divorce lawyer, I understand how important frequent, confidential attorney-client communications are. I know I am best able to assist you in finding effective legal solutions when I listen to you and give you the attention you deserve. Your family law dispute deserves the focused attention of an experienced and concerned attorney. The Law Office of Jerry Porter is conveniently located in The Woodlands, Texas, and assists clients in the greater Houston area. To schedule a consultation, call 281.296.3131 or contact Jerry Porter online.